Rave bodygraph – what is it? 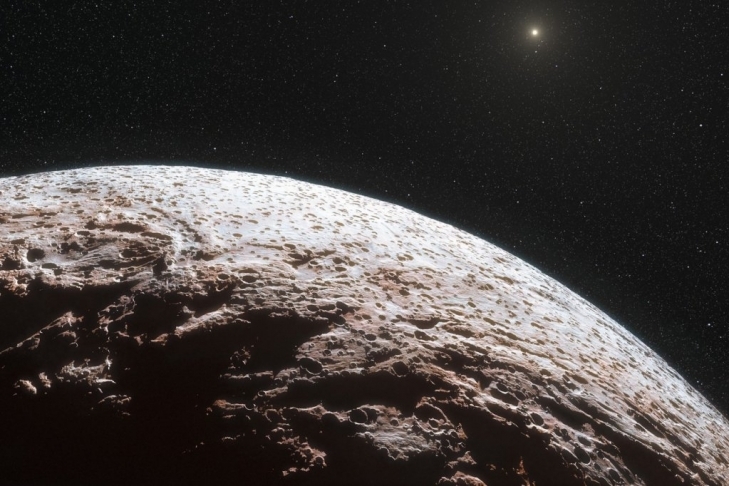 Human design theory is based on the programs putted into each person by planets and stars. This “stellar” information comes to people through the flow of “neutrinos” (in ancient times – “prana”). At the moment of his birth, every man catches the imprint of this flow, which forms in his genes a conscious program. There is also a subconscious program – it is laid in us at 88 days before birth, since it is believed that at this is the time when the fetus in womb acquires a soul. 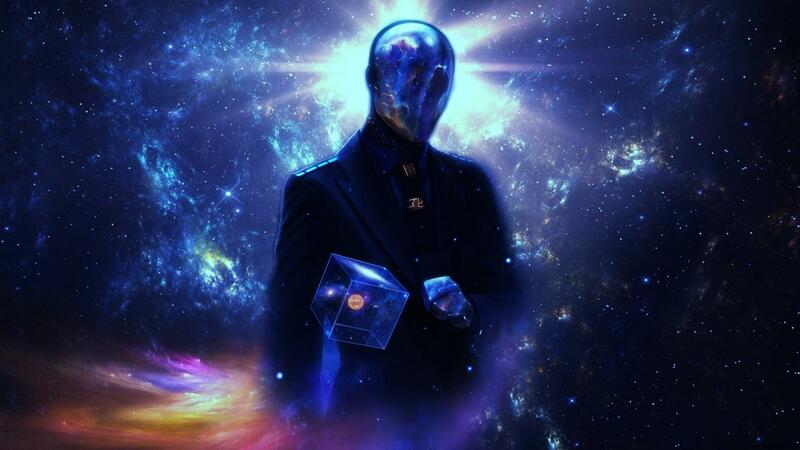 It is the symbiosis of these two programs that makes up the human energy matrix, and the bodygraph is nothing more than a “photo” of this energy matrix. And the first thing you need to do in order to get closer to the sequence of insights and learn how to live your design is to consider the rave chart detaily. Bodygraph (or rave chart, which is also the energy matrix of your body) consists of 9 centers (or chakras) and 36 channels that connect them together. The channels enter the centers through the gates, and there are 64 gates on the rave chart. 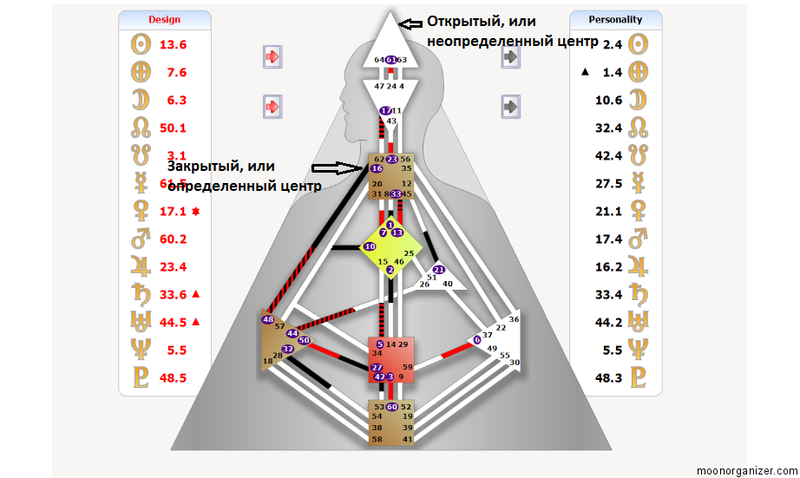 Each gate in bodygraph is related for one of your qualities. In order to read rave bodygraph correctly, we must understand the essence, meaning, and, ideally, the origin of all its elements. They are depicted in the form of squares and triangles on the rave chart. 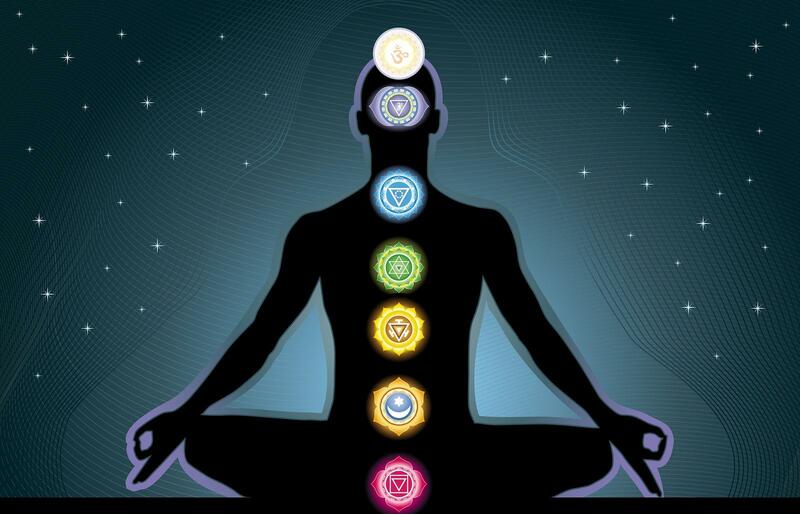 This bodygraph element is borrowed from the Hindu-Barmic tradition, where it is called Chakras. Each of the nine centers is linked to a specific organ in the human body and displays its bioenergetic vulnerability or strength. The channels are the converting agents on the rave chart, taken from the ancient Jewish knowledge of the Zohar (or Kabbalah). Channels unite the centers into a living system through which our energy circulates. It is interesting that in the process of uniting the two centers, the third, new energy is formed (the realization of the quantum principle). The are 36 channels in human design, and each of them has its own characteristic. The human bodygraph has 64 entry points to the centers, so called gates (on the rave chart, they are indicated by numbers on the centers). Gates are borrowed from the Chinese Book of Changes I-Jing, where 64 hexagrams are certain units of information with their unique sets of characteristics and location coordinates. Gates work like beacons that direct stellar energy to a specific place in the human body. Bodygraph centers are divided into open (undefined) and closed (defined). On the rave chart, they are depicted as white and painted accordingly. In the same way as centers, channels are defined and undefined. 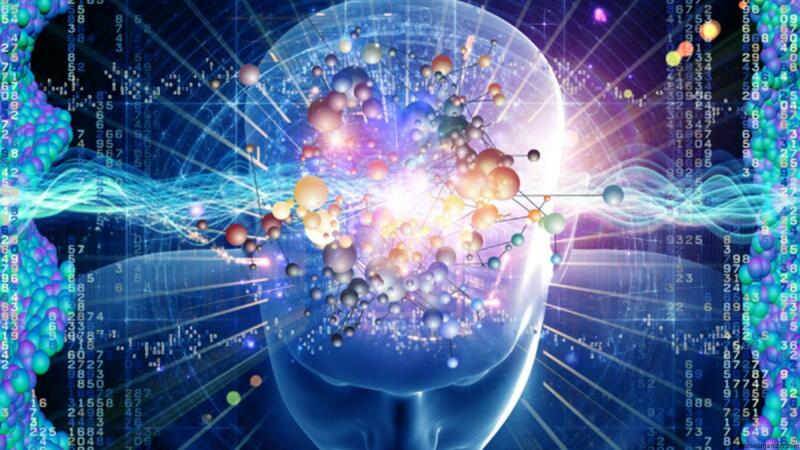 Defined channels, in turn, are conscious and subconscious. 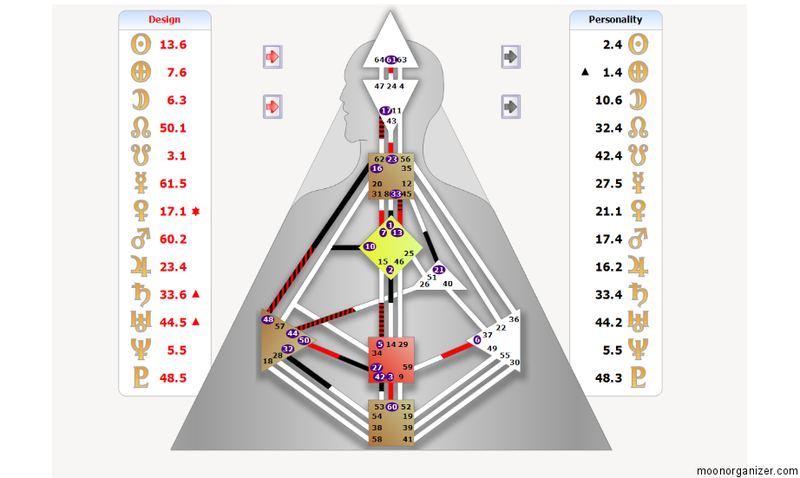 On the bodygraph, everything conscious is allocated in black, and the subconscious is red, this applies to the gates too. Defined channel is the channel, the gate at both ends of which is activated by some planets. Two centers connected by defined channel are also defined and painted. 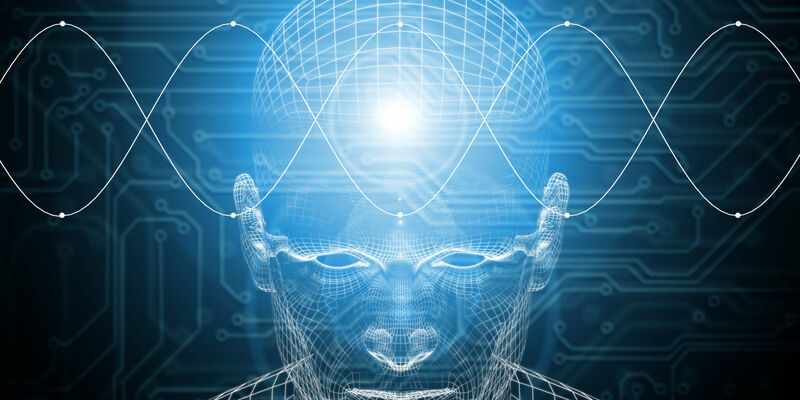 “Defined” in human design means invariable and constantly active aspects of human bioenergetics. This is what you are, what you can rely on, what you are getting yourself into. Defined centers radiate Yang energy, through them your own energy is given out. Undefined channels and centers are not activated by planets and these are the open places for influence from outside, through which you become conditioned by other people, animals, plants, planets and so on. Undefined centers are Yin centers, and they are needed in order to absorb the external energy. Thus, most people are a combination of definited and undefined centers for energy exchange with the outside world. Conscious (black) are the elements of the program formed at the time of your birth. This is what you always have access to, who you really think you are. Subconscious (red) are the elements of the program formed 88 days before your birth. The subconscious is not accessible to you and is uncontrollable. Some channels and gates can be defined both consciously and subconsciously – then they are painted over with black and red at the same time. 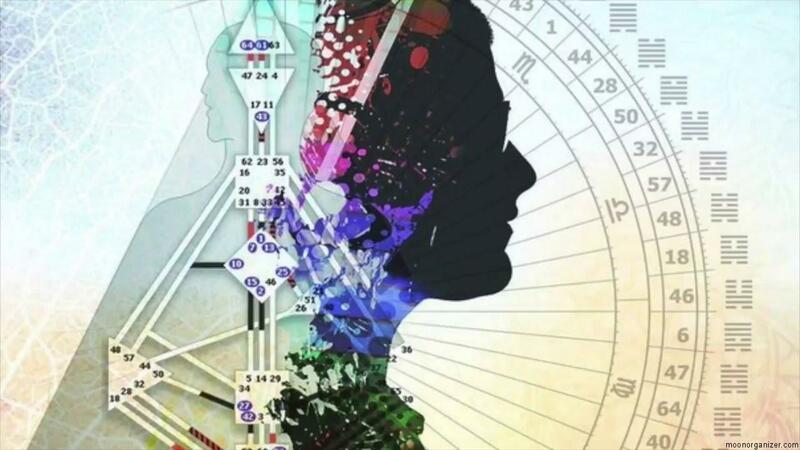 The bodygraph helps us to realize the power of the interconnection of the physical and spiritual, material and energetic, conscious and subconscious. Interlacing the apparent opposites, the rave chart illustrates their unity and enables a person to look into himself, look in the mirror of his soul. This wonderful tool of self-discovery requires attention and deep study, and, the most difficult, is acceptance, because finally you have to accept your own nature.